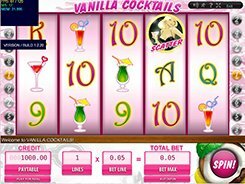 Banana Slots is a classic 3-reel slot machine equipped with a single line. 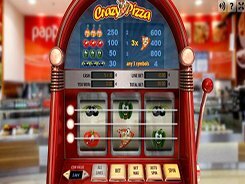 In terms of design, the game looks like a mechanical one-armed bandit, and the blurred background image behind the machine makes you feel like standing at a populated land-based casino and pulling the lever of the slot. The symbols include cherries, BAR variants (single, double and triple BARs), watermelon and bananas. The entire gameplay takes place on a single screen, with the paytable shown right above the reels. 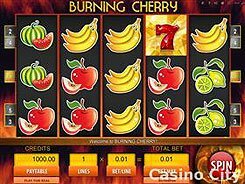 By clicking the Bet One button you may place one, two or three coins per line, whereas picking a corresponding casino chip below the reels you will select a coin value that is available in five options between $0.1 and $5, thus the maximum possible bet reaches $15 per line, per spin. 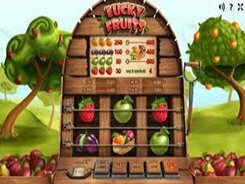 The largest jackpot worth 5000 coins is awarded for hitting three bananas across the payline, but to win that prize you are to make a 3-coin bet, otherwise the winning amount would be smaller (1000 coins on a one-coin bet and 2000 coins on a two-coin bet). 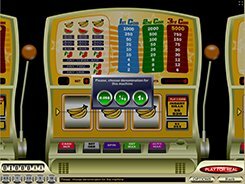 There are no special features like wilds, scatters or free spins in Banana Slots. PLAY FOR REAL MONEY!